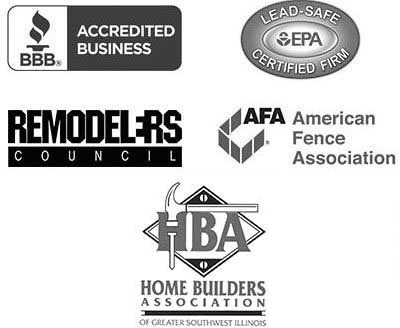 At Chesley Fence & Deck, our deck installation professionals have been serving homeowners in Waterloo, Illinois, and the surrounding areas since 1967. Since this time, we’ve helped build countless decks for customers to enjoy everything from backyard barbecues to simply relaxing with a good book, and we will be happy to do the same for you. Treated lumber – Our most cost-effective option, treated lumber is durable and can be painted or stained according to your preferences. Premium cedar- This decking has superior resistance to cracking and warping when compared to other wood products and can also be customized. 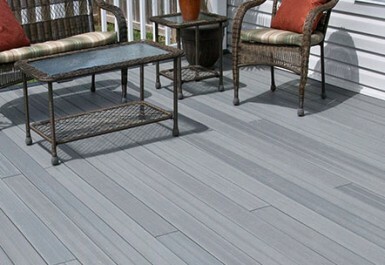 Composite – This premium decking is more durable and easy to maintain than wood. This is especially true of our Tamko EverGrain® Envision® PVC coated composite, which is backed by a 20-year warranty to cover fading, staining, and deterioration. No matter what product you choose, you can rest assured that our deck installation services will be exceptionally professional and efficient. We’ve long maintained an A+ Better Business Bureau rating thanks to our commitment to customer satisfaction. To learn more about the benefits of turning to Chesley Fence & Deck for your deck installation, contact us today.